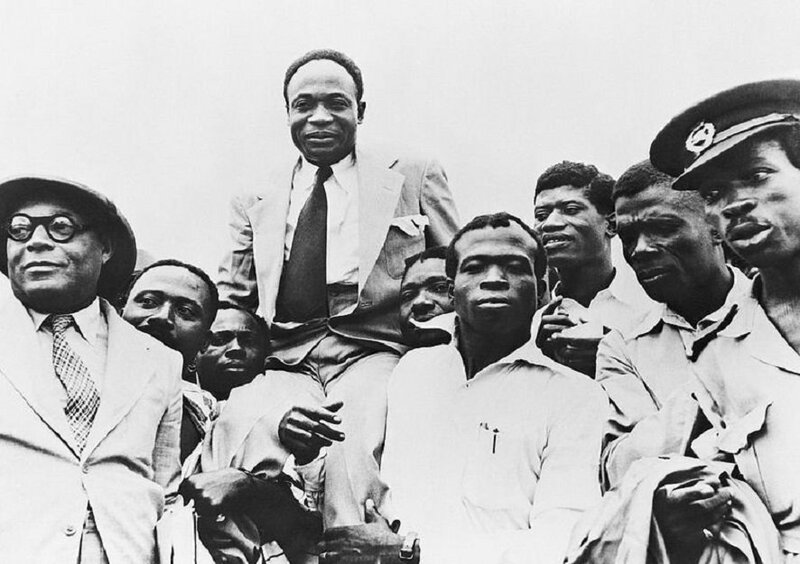 Africa’s independence and Kwame Nkrumah’s record as the first president of the Gold Coast, the first colony in sub-Saharan Africa to achieve independence would not have been possible without the incredible role performed by Nii Kwabena Bonnie III, a chief from Osu, a coastal town in Accra, Ghana. Real name Theodore Kwamla Taylor, Nii Kwabena Bonnie III (which was his stool name) is the son of a clerk in the Christiansborg Castle (Osu Castle) who would later singlehandedly organised a successful nationwide boycott of all European imports in the Gold Coast (Ghana) leading to series of riots and agitations that would eventually grant the colony its independence. 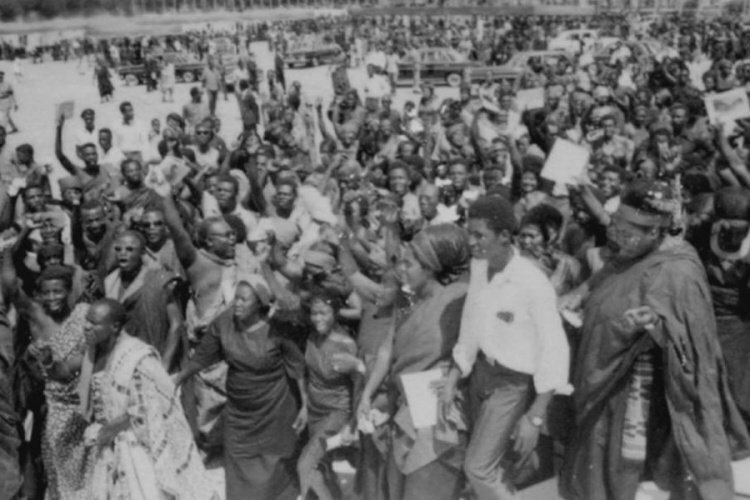 The chief’s boycott event also paved a way for the independence of other African colonies. It was the period during World War II when prices of goods imported into the country by European merchants were astronomically high. Even after the war ended, prices of these goods, such as sugar, milk, soap and textiles, continued to skyrocket, causing turbulence in the country but no one dared to stand up to the colonial powers. Nii Kwabena Bonnie stepped in at this point and organized a survey that revealed to him that the foreign merchants were making a huge 75% margin of profit on imported goods. He subsequently formed the Anti-Inflation Campaign Committee in Accra in the first quarter of 1947 in response to the situation. Nii Bonnie III later sent out an ultimatum to the Chamber of Commerce to compel its members to reduce the prices of their imported goods by January 24, 1948, or face a nationwide boycott of their goods. 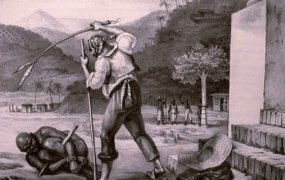 While waiting for the response from the Chamber which eventually never came, Nii Bonnie III toured the colony, explaining to people, particularly, the chiefs of various towns and cities the plan to boycott European goods. His plan received massive support as the chiefs and people of Manya-Krobo, Suhum, Akim-Oda, Cape Coast, Sekondi, Tarkwa, Axim and so on pledged to join the boycott. Then on January 2, 1948, Nii Bonnie III delivered a powerful New Year message to arouse the people of the colony towards his campaign. This letter became the push the people needed to act, and by January 24, 1948, when Nii Bonnie III had not received any response from the Chamber of Commerce, he gave the people the green light to commence the boycott on January 26, 1948. “To monitor everyone so that the Boycott was not sabotaged, the people themselves formed Vigilante groups in their localities. Anyone found selling or buying any of the banned imported goods was arrested and sent to the Native Courts for punishment. “On 29th January, Nii dashed to Kumasi and successfully convinced the Asantehene and the Ashanti Confederacy to join the Boycott so as to prevent the merchants from sending their goods to Ashanti to sell. The Boycott lasted for a period of thirty days. Its impact on the business in the country became very telling, as a totality of commercial activities came to standstill,” according to accounts by Theodore Taylor, a relative of Nii Bonnie III. The boycott and its associated riots indeed yielded results as on February 11, 1948, the colonial government was forced to arrange a series of meetings between the Chamber of Commerce and the Anti-Inflation Campaign Committee to find a solution. On February 20, an agreement was reached as the foreign firms agreed to reduce their overall profit margin from 75 to 50 per cent, bringing an end to the boycott on February 28, 1948. “Nii Bonnie’s 1948 Boycott, therefore, became the game changer for the country as it mobilised the totality of the country to confound the foreign merchants who otherwise thought that Africans can’t act in unison even if for their benefit,” according to Theodore Taylor. His campaign also prepared the grounds for the colony’s independence as subsequent events confirm. On the last day of the boycott (February 28), a group of ex-servicemen was on a peaceful parade at the crossroads near the Governor’s office in the Gold Coast to present a petition to him about unpaid wages and broken promises after their fight for the British in the second World War. The police rather opened fire on them, killing three ex-servicemen instantly. This resulted in a series of riots and protests and eventually marked the beginning of the process of independence for the Gold Coast. 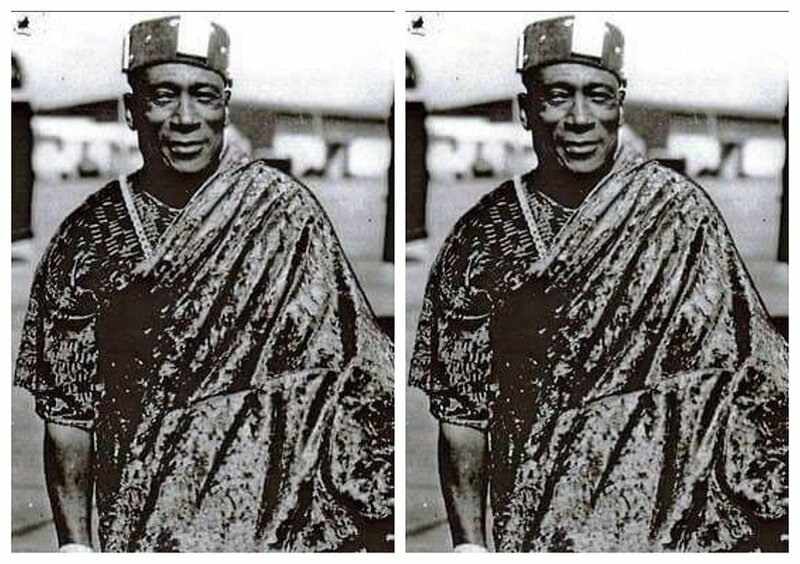 Known as the “Boycotthene”, Nii Kwabena Bonnie was born on January 26, 1888, in Accra, Ussher Town, in Orange House on the Horse Road now known as Asaffoe Nettey Street and was enstooled on the July 16, 1945 as the third Osu Alata Mantse (King of Alata clan in Osu). He was the third son of his parents, Naabakor Aryerte of Osu Alata (his mother) and Williamson Theodore Taylor, who came to the Gold Coast from Sierra Leone and worked as a clerk in the Osu Castle. He then became an astute merchant who had business interests stretching from West Africa to Japan in Asia and would consequently take up ventures that would be beneficial to the colony and Africa as a whole. Apart from leading a successful boycott in the Gold Coast colony, Nii Bonnie III, in February 1925, became the first Gold Coaster to earn the British Royal Couple’s invitation to tour the Buckingham Palace. At the time of Europe’s Great Depression in 1931, he also successfully campaigned throughout the Colony for a reduction in prices of food products. 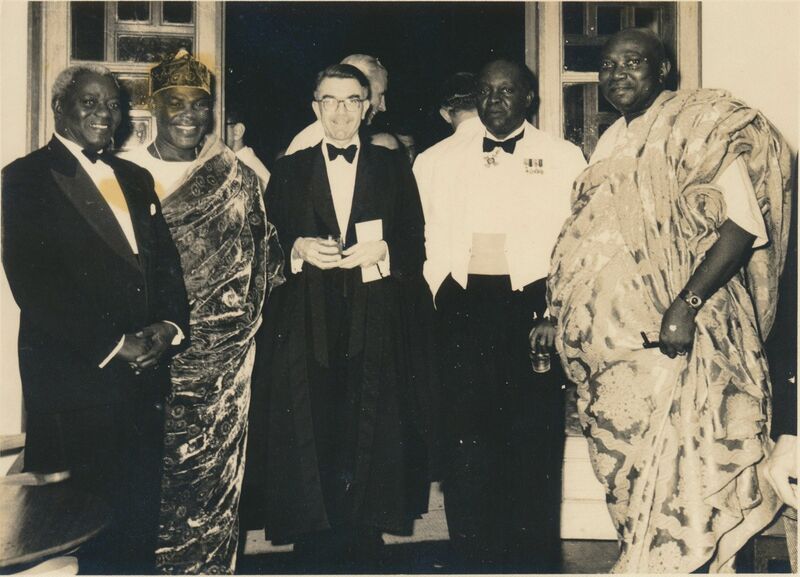 In 1946, he hosted the Asantehene, Sir Osei Agyeman Prempeh II, in his first official visit to Accra, as well as, his 500-strong retinue at his residence, the Rolyat Castle and its precincts when they were in Accra at the invitation of the Colonial Governor for the inauguration of the 1946 Constitution. From 1951 to 1953, Nii Bonnie III represented the Ga State Council at the Gold Coast Legislative Assembly before he passed away on November 8, 1968, at his residence, the Rolyat Castle at Kokomlemle, Accra, after a short illness.